A few weeks ago we shared with you some information about FODMAP stacking, explaining that green foods are safe, some foods have an upper limit, and how this impacts when you combine foods. See https://www.monashfodmap.com/blog/fodmap-stacking-can-i-overeat-green/ to read this blog again. 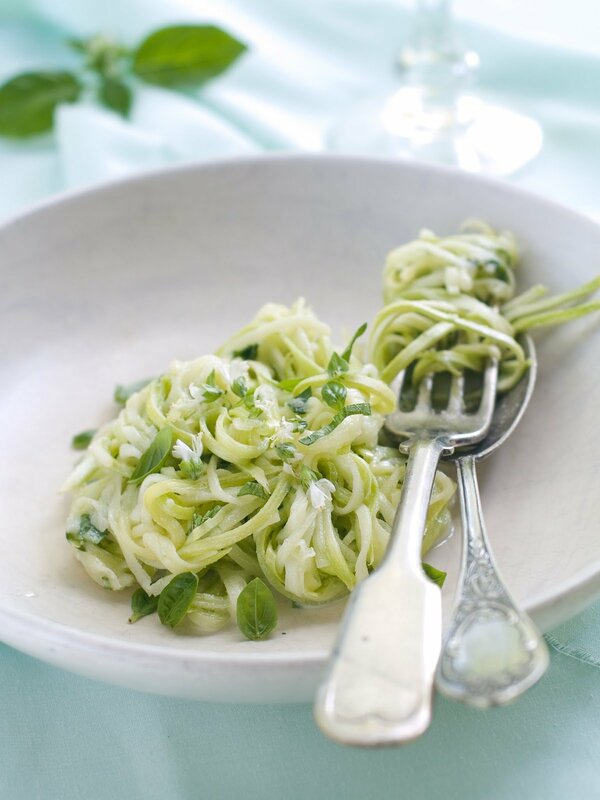 We wanted to show you how to “FODMAP stack” in a recipe and tempted you by mentioning a zucchini pasta and cabbage and parmesan salad…. Here it is. This recipe contains a green serve of zucchini and a green serve of common cabbage. Both of these foods become amber or red if eaten in larger quantities. If you eat more than 1 cup of common cabbage it will take you to a red serve. Try this as a challenge if you are at the stage of testing your tolerance to FODMAPs. We want you to try to step up your FODMAP intake and relax the diet over time. If you are not ready for that, you can swap common cabbage for red cabbage which is green until even larger servings of 1 2/3 cups.